If you have visited the Imperial Palace Outer Garden from Tokyo station through Gyoko street, you must have seen the turret. 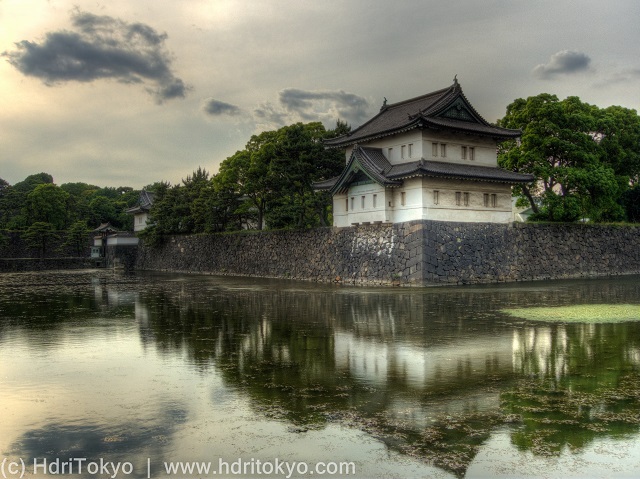 The Imperial Palace is located on the site of Edo castle. Tatsumi turret, also called Sakurada-Niju turret (Sakurada-two story turret), is one of the three existing turrets of former Edo castle. It was damaged in the Great Kanto Earthquake(1923), and restored.